Invites were not given in this round of testing. I would love to give you an invite as soon as I get any. It feels kind of silly right now chatting/Google Waving to myself anyhow! If you have a sandbox account too, let me know so we can test out this amazing platform. So that’s my first look. I’ll be posting more later! 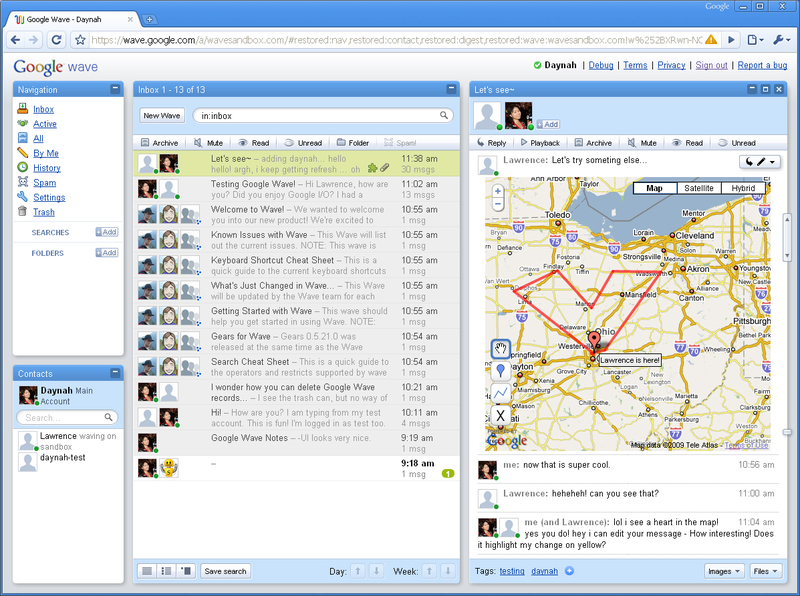 not really sure if you have google wave invites left, but i like to check it out. As an emailmarketeer i like to see new opportunities of it. An invite to google wave should be fun for both of us. I think. I'm a retires computer hobbiest & time to gave to you for checking it all out. My acc at google is letsnet.org & I follow you at Twitter.com/letslets. Just spotted your invite offer on twitter – I'd love one if you have any left :-). Thanks a million! If anyone has an extra invite, please send one over to icyglaze@gmail.com! :) Thanks! Please send me an invite~ I'd love to try Wave out with my friends and family! I think it'd be fun to try, but I'm just a lowly IT technician. darn it i'm late >.< oh well..i hope i can get one soon..i use gmail like its nobodys business..i can't wait to try google wave :oD thanks for posting & sharing @daynah!! 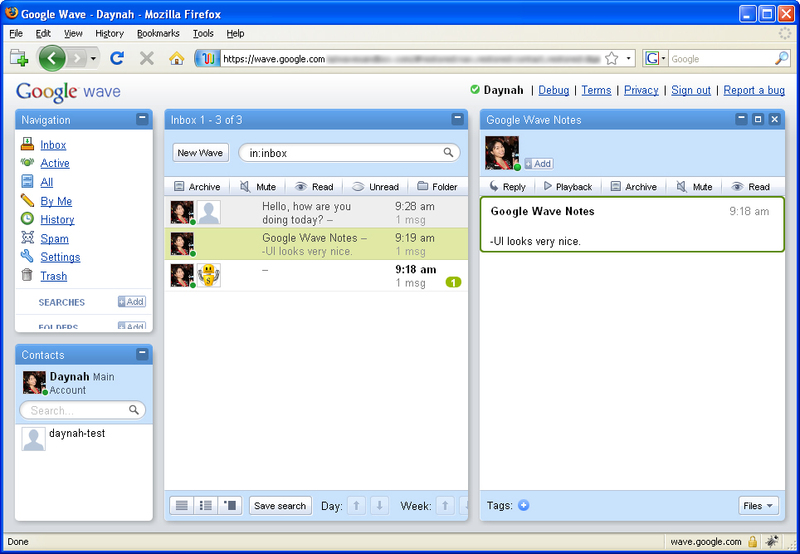 Unfortunately, I've given out all of my Google Wave invites. But I will be using this list if Google decides to give me another round of invites. Thanks for visiting! Daynah , you havent move to wave.google.com ? still on the sandbox ? I finally got a google wave account! 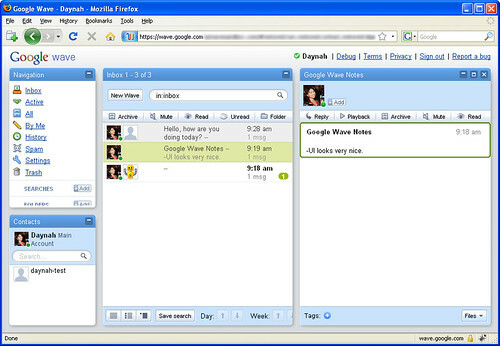 it's xmyrin@googlewave.com. I've added you! Hopefully we can get more users on here, it's hard to get into without other users.